If you are looking for the perfect venue to enjoy films, you better take note of the Director's Club at SM Cinema. This is the place that succeeds in every area where many movie houses fail. Watching movies is after all about the total experience. What Do We Look for in a Movie House? I'm sure we can all agree that we want a movie house that will allow us to watch films in complete comfort and peace. Who wants to be bothered by uncomfortable seats, crowded spaces, unsanitary facilities, poor sound quality and subpar projection when you can actually have none of that? These things can be so distracting that it can totally affect how you view the movie. Fortunately, a movie house that is certainly a cut above the rest has been made available by SM Cinema - the Director's Club. The Director's Club as described by SM Cinema is an all-impressive venue and intimate setting perfect for private and small corporate events, presentations and functions, as well as parties. It boasts of comfortable and luxurious lobbies, butler service, plush recliner seats, and digital screen. Currently, the Director’s Club is available in five SM branches; these include SM Megamall, SM Cinema Mall of Asia, SM Cinema BF Paranaque, SM Aura Premier and SM Seaside Cebu. It was designed to be the premier line of SM Cinema. Its features and services are geared towards providing comfort and convenience to moviegoers. It is, by most standards, a luxury brand located in major SM branches in the Philippines. Aside from quality movies, SM Cinema's Director's Club interesting amenities including waiting rooms that serve as a preview for what the line has to offer, state of the art projection equipment, the most up-to-date technology in surround sound, first rate acoustics and crystal clear digital screens. SM has installed 30 to 50 comfortable reclining chairs in each branch of the Director’s Club. This is a feature complimented by butlers servicing every seat. 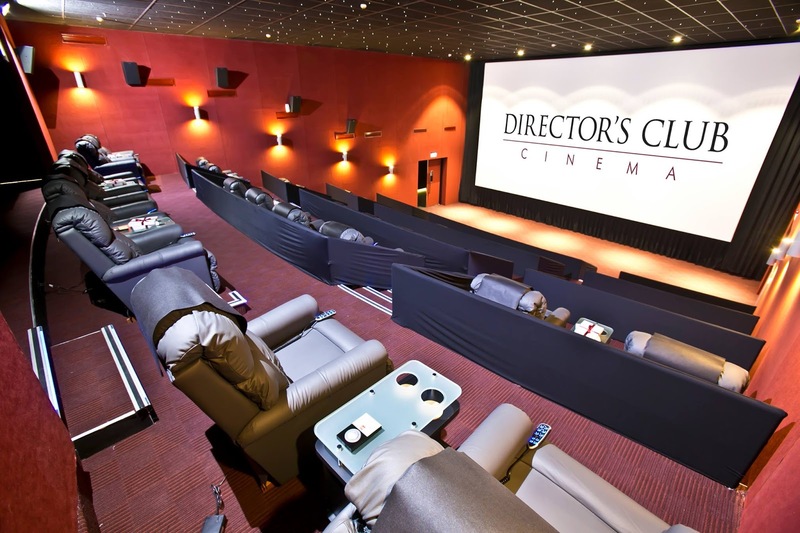 One press of the button located on the side table of each chair will bring forward a member of the cinema’s staff who are ever present to assist guests and offer special snacks from an extensive menu. Completing the experience, of course, are the complimentary bowls of freshly made SnackTime Popcorn delivered to each seat for good measure. All you need to do is sit back, relax, and enjoy the movie! For more information regarding SM Cinema and the Director’s Club, go to www.smcinema.com.